The 2016.06 release is available on GitHub. An updated Windows installer and installation guide (PDF) may be via the Nuand Support page. 6/22 Update: The coupon has changed to 30% off and been extended for one more day! 6/21 Update: Coupon now applies to 25 x115s as well! USE COUPON CODE MHZ TO BUY A BLADERF FOR $199 FOR ONE DAY ONLY! ONLY 50 UNITS WILL BE SOLD AT THIS PRICE! Software defined radios are capable of a surprising number of things. After nearly a year of development, we have developed a method of increasing the bladeRF’s spectrum analysis bandwidth up to 124MHz. 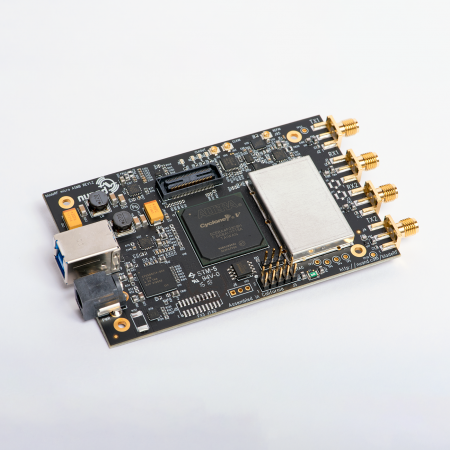 This software-only change takes advantage of the bladeRF’s advanced hardware design, and requires only a few additional changes to osmocom-sdr, and GQRX. 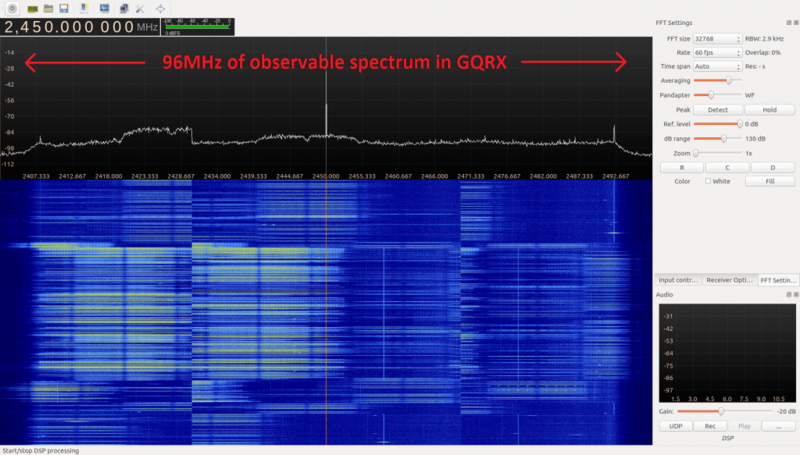 With 96MHz it is possible to monitor the entirety of the 2.4GHz ISM band and not miss any Bluetooth or WiFi frames. To celebrate this achievement and mark the beginning of summer, we are offering up to 50 bladeRF x40 for $199 for one day only. Use coupon code MHZ when checking out. So how does this work? The bladeRF features a few HDL accelerators that allow it to calibrate and tune the underlying RF front-end several thousand times a second. By performing these tasks so quickly, the bladeRF can take in digitize and stitch together up to 200MHz of additional bandwidth. How do I get this running? You will have to compile and use gr-osmosdr and GQRX from the Nuand branches, https://github.com/Nuand/gr-osmosdr , and https://github.com/Nuand/gqrx . 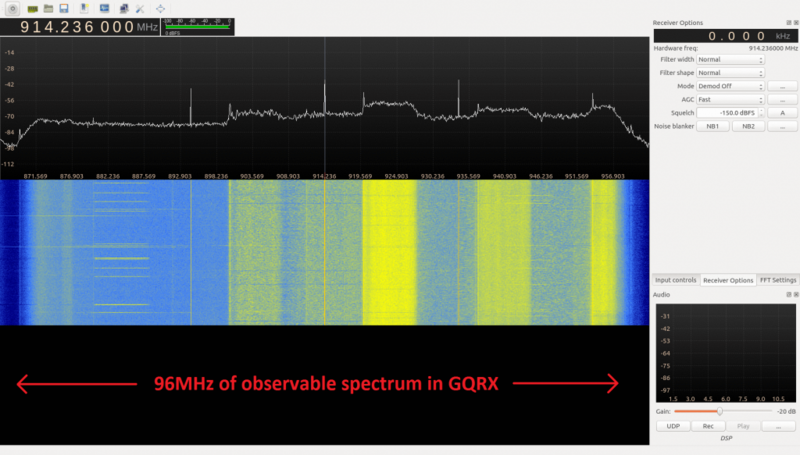 Monitor the entire 2.4GHz band with one radio. NB: Screenshots showing 96MHz width represent a configured value below the maximum of 124MHz.